Strangely enough, I have known from a young age that I wanted to become a dentist. I practically grew up at Temple Dental School. Four of my cousins went to dental school there, and I would frequently spend the day as a patient helping them fulfill their clinical requirements.… As all the other kids would talk about being a ball player or a policeman, I knew I wanted to be a dentist. How does fishing allow you to escape the pressures of the job? Fishing provides for me a way to connect both with family, friends and nature. I am able to relax. What’s one of your most memorable patient stories? I once had a patient come to the office for a broken tooth … turns out he broke the tooth several weeks ago and had been putting duct tape on the tooth to keep it together before coming in to have it repaired. Yet another use for duct tape! Tell us why your family means so much to you? My entire family is involved in dentistry—my wife, both of my sons, their wives … and, who knows, someday my grandchildren may also [become involved]. What excites you most about the future of dentistry? The many advances that will improve our ability to diagnose and treat. What’s the best reason you’ve heard for why some people fear going to the dentist? Poor past experiences with dental care. How can preventative care impact oral health? Not only is it the most important aspect of dentistry, researchers are making the link between oral and overall health. The mouth is truly the gateway to the entire body. To see a person who once was ashamed of their smile, and now they can’t stop smiling! Boxing is my personal version of the Field of Dreams. It is a connection with my late father. His passion lives with me. I treated my first TMJ patient over 30 years ago. She had been to 11 different doctors (both physicians and dentists) who could not help her pain. Within 24 hours of making her an appliance she felt relief. She came in with three platters of food as a way of saying thank you. What’s the most common issue you see affecting patients at your practice? The fear that they will lose their teeth and have to wear dentures like their parents and grandparents did. It doesn’t have to be [so] with the knowledge that we now have. What do you find to be the most rewarding part of the profession? Having families that I have treated for over 30 years. It is common to have four and even five generations in the practice. They truly become your extended family. How did you first get involved with fencing? Fencing has always been a very important aspect of my life. As a former New Jersey State Champion, NCAA National Champion, and Olympic training team member, it has instilled a personal competitive spirit. Combining physical and mental actions, fencing has contributed to my development as a surgeon. Since my first exposure to oral and maxillofacial surgery in college as a volunteer, I have wanted to be a surgeon. Of all the medical and dental specialties, oral surgery is perhaps the most unique. It crosses the boundaries of medicine and dentistry. Though my mother still probably doesn’t understand what I do, the challenge of dental surgery one day and repairing a facial gun shot the next makes every day an adventure. What’s the most rewarding part of the profession for you personally? Knowing that I can provide a service for patients that are at times in severe distress and alleviate this condition is a reward and privilege in itself. In addition, my role as a resident educator and program director [with Cooper University Hospital] allows me to train the surgeons of the future and impact the direction of my specialty. Most effective method of putting patients at ease? Listening very carefully, making them feel heard, and adjusting the pace of everything that is done, such as communication and treatment, so as not to overwhelm the patient. Tell us about your creative outlet, sculpting. Art and aesthetics has always been a passion of mine…. My medium is stone, such as marble, alabaster and soapstone. There is a dichotomy of feelings while I am using a chisel and mallet to carve a piece of stone. There is a calm, meditative feeling related to the act of chiseling … and there is a strong sense of excitement and anticipation in knowing that if I keep chipping away, the piece of artwork trapped inside that stone will be revealed. What is one of your most memorable patient stories? A mother … came into my office with her oldest daughter for an initial exam. During the exam, she recounted that she was treated as a child, years and years ago, by my father. She told me that she was very fond of him and drew him a picture of several cartoon characters, including Fred Flintstone, Mickey Mouse and Popeye. I led her into my private office where I showed her the picture she had given my father. He had framed it and we kept it all those years. I treated all three of her daughters. That feeling of continuity in the practice, of history, of long-term relationships, touches me deeply. Tell us about your love for golf. It requires concentration, but has nothing to do with my vocation. I’m outdoors interacting with friends and colleagues. It takes me totally away from the rest of my day. It’s a zen-like place for me. How are you able to specifically cater to each patient? Treating a patient is like being a dental travel agent. The journey begins with a proper diagnosis that establishes the starting point. The consultation is a dialogue to determine the destination. Quality dentistry focuses on outcome and not procedures. While there is only one correct diagnosis, there are many possible outcomes. Once the patient and I select the outcome, if I’m a good travel agent, I’ll book the trip. One never starts a trip without a destination in mind. I have had the privilege of treating several high profile cases, but HIPPA prevents me from mentioning full names. One patient … had a skydiving accident in Missouri and landed on her face after her chute failed to deploy. Following a hospital stay and multiple injuries, she was referred from Missouri to see me. We reconstructed her upper jaw and missing front teeth with dental implants and bone graft. I enjoy multiple hobbies, including coin collect­ing, relaxing at the beach and cheering for the Phillies (sometimes not so relaxing)! What’s the most rewarding part of the profession?? The appointment to remove braces is my favorite. It is at that time that the “unmasking” takes place and we all get to look at the final product: an awesome smile. What is it about skiing that you enjoy so much? I learned to ski when I was in my early 20s and fell in love with it. I love the freedom and exhilaration I feel when I’m skiing down the slopes. What’s the most common issue you see with patients? The most common issue I see with my patients is making time to brush and floss. What’s the biggest challenge currently facing the industry in your opinion? The biggest challenge facing dentistry right now is the economic realities of our patients and how we can provide adequate care that children can have access to. What do you find to be the most gratifying part of your job? The most rewarding part of my profession is helping children cope with the stress of dental treatment; and seeing them succeed, and grow in their self-confidence. 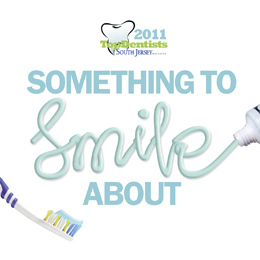 We surveyed our eight featured dentists on a variety of topics. Here’s what they had to say.